Yesbeauty e-Shop (Operatered by: HKCOSMETICS.ORG) 已經成為八達通商戶! 客戶而家可以安坐家中, 用八達通 App 掃瞄本店嘅QR Code並填上你的購物付款數額就可以輕鬆過數! 只限香港區訂單,！你的八達通仲可以隨時透過銀行或者7-11便利店充值呢, 方便易用! Now available in Yesbeauty online shop for Hong Kong Order! 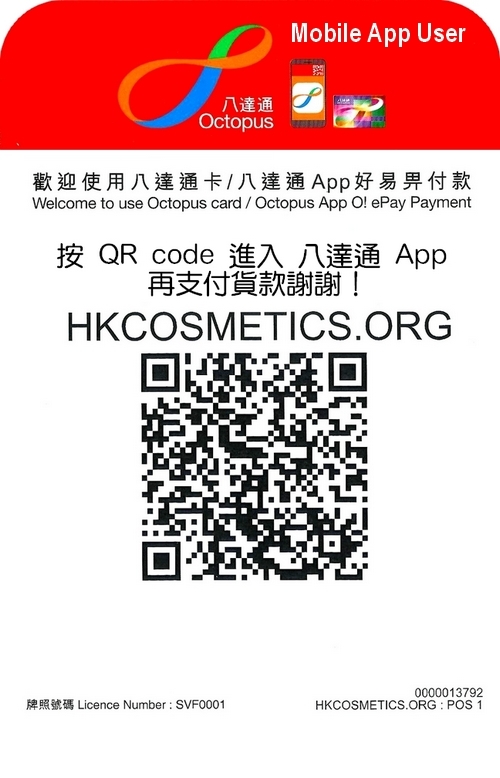 Octopus payment only accept for Hong Kong location order only! Out of HK order please select PayPal payment!